Playing online games is a process that is relaxing as well as a learning experience. With the availability of computers, smart phones and other smart gadgets in plenty, virtual games have become extremely common. Creators of such games cater to the adult population and device adventure and learning games for children. When, online games are being played, as in case of PlayStation network games, players may need to do some payments to continue with the excitement. This kind of payment necessity has been found for a lot of games these days, because the progression will depend on the right equipments and steps. To help such gamers, Garena shells are the common modalities of payment because these have been accepted across plenty of platforms for games. People interested for these virtual games will have to keep certain shells or they can go for other payment options as per their comfort and convenience. 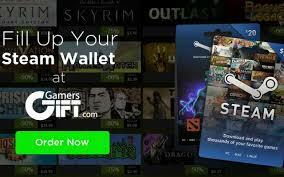 Steam Wallet Cards are nowadays being sought by plenty of such gamers to do their payments, which can also be filled up with Garena shells or the Money Online or MOL points. These modalities of payment are best for gaming communities because of many advantages. The foremost advantage of such payment structures through points, cards or shells is that the currency transfers are not required to be done always. Since the cards or shells have been initially purchased with the money, these can be used for payment in purchase of any products related to the virtual gaming. Moreover, the steam wallet cards are already present in the gaming account of the players, from which a few shells can be paid to complete the transaction and move ahead in the game as required. As the virtual gaming community increases in size, it is becoming a necessity to have the mol points for the gamers. They can easily put in these points in the games, whenever any purchases are done. Simply by typing in the PIN for these money online points, the payment can be done for even the Garena shells, as such payment options are become common across all gaming networks. The PlayStation network, which is quite a big feature, also is accepting such shells and card. The process of payment is extremely easy, along with having high level of security in the game’s platform. Since the gaming platforms link with the shells and cards payment, it is easy for gamers to continue with their games, without having to worry about the payment of money at every point of purchase. Simply, the MOLPoints (Mol Points) or Garena shells can be transferred from one point to another, where the points can be redeemed for the purchases. Along with having convenience in the purchase and payments, these are also quite safe to handle. Such features have put people in a position of trust and faith, for which there are sufficient numbers of gamers, who find these payment options to be of advantage. They are using the shells with the money online points to make their gaming interesting and exciting.